Our home broadband has always been stuck in the dark ages. We currently get 1.01mb download speed at home!! I discovered today that we're now eligible for fibre optic broadband in our area. The best deal i've found online is with Sky Fibre. It's £27.90 a month & £50 installation fee. That sounds very expensive to me. Is that the going rate for Fibre Optic, or does anyone know of a better deal elsewhere? Paying about £30 a month for BT package incorporating fibre optic, telephone and tv and line rental. Got £60 cash back for doing it through Quidco and a £100 Prepaid MasterCard from BT. Whoever you go with, make sure you do it through a cashback website like Quidco, money for nothing. 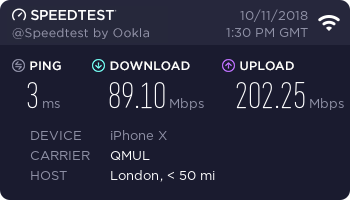 Last week I switched to BT fibre from a virtual dial-up service from EE (was previously Orange and Wanadoo I'd been on the same contract so long). Think it was half price at the time for the 52Mb package so I pay £10/m and it came with a BT TV box that is free for 12 months and then £6/m if I want to keep it after that. Also got the £100 BT reward card. 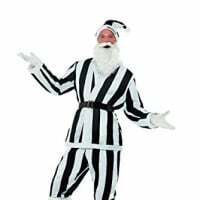 The actual switch was seamless. They emailed several times confirming dates etc and the Smart Hub etc was delivered the day before switchover. They said that my internet would go down for approx 30 mins while they do their thing but I was at work so didn't notice. Plugged everything in that evening and was good to go straight away. They even contacted EE to tell them I was changing supplier so I didn't have to cancel the old contract myself. I've had Sky Fibre for ages. They generally provide a mid to low 20's download speed on their 38 gig service and they've never hassled me over my high data usage. Had quite a few outages over the last year though so I'm thinking of switching to Vodafone Fibre which doesn't charge a line rental. Anyone got any good or bad experiences of Vodafone Fibre? Feck me - just pinged mine and am getting 42mb/s download speed on Virgin fibre. The house is about 50 yards from the road and they ran the connection in industrial cable so the signal didn't drop. And all this free of charge. Their packages aren't the cheapest, but the service is brilliant. Zen are very highly rated by Which?. Plusnet get very good customer service satisfaction reviews, unlike BT, even though they are a subsidiary of BT. Whoever you go for, make sure you get unlimited data, although most offer that as standard. Make sure you speak to someone rather than doing it on the website as the advisors generally have some wiggle room, but you might miss out on some the casback deals @mrlargo mentioned. All use BT lines unless you are on virgin, so it will probably be fibre to the cabinet rather than fibre to the property, so your speed will be defined by your relative distance to the cabinet. 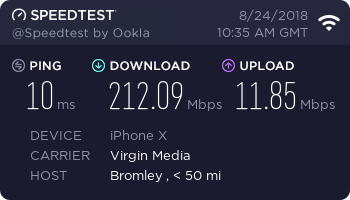 So if your top end speed matters, check with the advisor or website the BT estimated line speed as you might want to consider virgin. Virgin is expensive, the TV package is poor but their broadband network is excellent. We're on Virgin fibre optic up here. Think we pay around £35 per month. Speed is unbelievable, just did a check and getting 103.66 Mbps and haven't yet had any downtime at all. Guys, a man in a high vis vest was round drawing pictures on the pavement last week. A neighbour says we are getting Virgin cable installed. I'm on Virgin and speed is ok but not overly happy with it and the overall service. Just not sure anybody else would be any better! For all of this who's better than who malarkey just think 'what would happen if it went wrong' and go by the customer ratings for each and every provider of which there are many. The fibre is provided by either Openreach or Virgin Media. But the providers rent the fibre from Openreach so they will all be much of a muchness speed-wise. What all of the providers also have in common is they all want to bundle you up so quite often a deal for tv, broadband, mobile and landlines will often seem decent. I'm paying £27.49 plus line rental with Plusnet for their Unlimited Fibre Extra product. For that I get 64Mbps down and 18Mbps up. Thread like this make me sad. I'd kill for a 1.01mb download speed. Interested in knowing how Virgin now compare. Just checked mine and I am getting 166.80 Mb/s download. Anyone on Virgin, do yourself a favour and dump the superhub 2/3 as your router, just use it in modem mode. we are with Vodafone at home, seems ok - goes off every now and again, how do you check how quick it is? Unless you can get the fibre right into your house, I don't see the point of paying ridiculous prices for it. Look at what's just happened in Jersey. The entire island has fibre into each building that wants it, where as it's terminated in the street cabinets here, and run into your house on copper, making it a bit like the queue for the Dartford tunnel IMO. I only know 2 x people who have Virgin (son and my wife's business property) but in both cases they have run a new independent cable into the property. They do not loop into the BT box at the end of the road. I have sky fibre, inc that, telephone and the full TV package (sports, movies etc) I pay £85. Speeds about 35 but they are upgrading my area to 70 in December. Quite happy in the overall package and cost plus my daughter can still watch sky on skygo from uni.